Under Economic Action Plan 2015, the Canadian Coast Guard will review the Arctic maritime Search and Rescue (SAR) service requirements and enhance the Canadian Coast Guard Auxiliary capacity to keep pace with rising marine traffic levels in the region, for a total investment of $3.9 million over five years. While the Coast Guard Auxiliary currently provides SAR services in some communities in the Arctic, others communities have no capacity to respond to maritime incidents. As traffic from cruise line excursions, adventure tourism and shipping continues to increase in the Arctic, additional pressure is being placed on existing SAR resources and Canada´s ability to respond. This initiative will expand the Auxiliary membership to include at least 20 additional coastal communities that have existing maritime SAR resources in Nunavut and Nunavik. This measure will immediately enhance maritime search and rescue in the Arctic by increasing the current CCG Auxiliary presence in remote locations and providing existing SAR volunteers with appropriate training and official Rescue Coordination Centre tasking, in addition to insurance coverage and reimbursement for related operational costs. 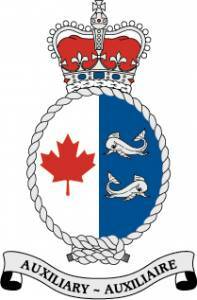 The CCG Auxiliary is comprised of five regional non-profit organizations made up of volunteers who provide search and rescue assistance to augment the Coast Guard maritime SAR response capacity. They respond to an average of 25-30% of SAR taskings annually. The Canadian Coast Guard funds the Auxiliary through five regional Contribution Agreements, totalling approximately $5 million annually. Search and Rescue is a critical service the Canadian Coast Guard provides to Canadians. As such, the Canadian Coast Guard will conduct a study of approximately 16 coastal communities that currently lack maritime SAR resources and will not be captured by the enhanced Auxiliary. The goal of this two-year study is to determine the most suitable and cost-effective options for further enhancing the SAR response capacity in the Arctic and ensure adequate coverage throughout strategically-defined corridors.